Pensacola history tours are among some of the top things to do in Pensacola, Florida! A city with strong ties to world-changing events, Pensacola offers intriguing tours ranging in topics from the American Civil War, to landmarks dating back centuries. Whether a ghost hunting enthusiast searching for proof of an afterlife, a military buff hungry for never-before heard war stories, or someone who simply wants fun things to do in Pensacola, Florida, Pensacola history tours are the perfect solution! Keep reading for a full list of Historic Pensacola Tours that are Fun and Factual! Historic Pensacola Segway Tour - Explore Pensacola, Florida in a whole new way on a Historic Pensacola Segway Tour! Glide through the streets of the "City of Five Flags" hitting monuments, landmarks, and historic locations including Veteran's Memorial Park and Plaza De Luna! Segway tours in Pensacola make for an exciting afternoon, book your Historic Pensacola Segway Tour today! Ghost & Graveyards Tour - Hear spooky stories involving Pensacola's rich history and notorious residents. Stop at locations of spiritual turbulence including the Pensacola historic downtown, and even stop at a notable cemetery. This tours is guaranteed to satisfy lovers of both history and the supernatural. Find more information on this Pensacola Ghost Tour online. Visit a Cemetery on a Pensacola Ghost Tour! T.T. Wentworth, Jr. Florida State Museum - Housing a treasure trove of artifacts capturing Pensacola's and West Florida's rich history. With three floors of exhibit space featuring Spanish and Native American artifacts dating back over 300 years, the displays are as interesting as they are ancient! T.T. Wentworth, Jr. Florida State Museum is one of the top things to do in Pensacola, Florida, with low-price admission and half-price Sundays from 12pm - 4pm! Pensacola Civil War History Tour - Before the Civil War, Pensacola was the largest and most prosperous city in the country. Travel back to the pre-war era and learn about a city divided, and what role Pensacola played in the North vs South struggle.Visit historic forts, and tour the city in a modernized 1930's Ford Bus. Learn more online at Pensacola Civil War History Tour! Red Light District Tour - This Rated "R" romp through Pensacola takes guests through the racier parts of Pensacola's history. Firsthand accounts of the city's risque past heat up this 2-hour tour that includes a trip to a former brothel. Learn more at Pensacola Red Light District Tour. 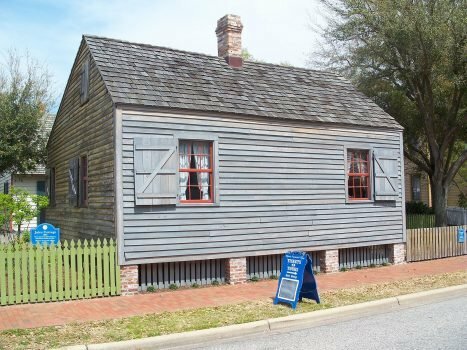 Historic Pensacola Village - The Pensacola Historic Village contains more than 20 historic buildings managed and maintained by the local university. The Village is located in the Pensacola Historic Downtown, and furnished mostly by the T.T. Wentworth, Jr. Florida State Museum. Admission is purchased for a full week, allowing plenty of time to explore the almost 2 dozen homes and building! Pensacola Landmark City Tour - Get to know Pensacola on a tour of its most popular landmarks! Dr. Bill Spain narrates this entertaining tour through the city covering the Pensacola historic downtown, the Frisco Railroad, and more stunning sights. Book your Pensacola Landmark City Tour online for the best rates. Pensacola Children's Museum - Located at the Arbona Building at 115 East Zaragoza St, the museum offers hands on exploration into science and history for children 2-13. Open Tuesday to Saturday 10am - 4pm, there is plenty of time to check out this local landmark during a Pensacola, Florida, vacation!